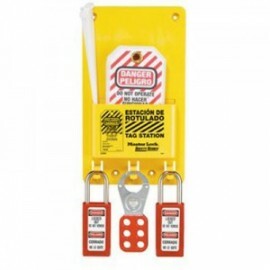 These durable lockout tagout tag stations provide a compact way to store your facility's lockout tagout tags. Features 3 hanger hooks to hold up to 3 padlocks or 3 hasps. This station provides employees with quick and easy access to lockout identification tags.